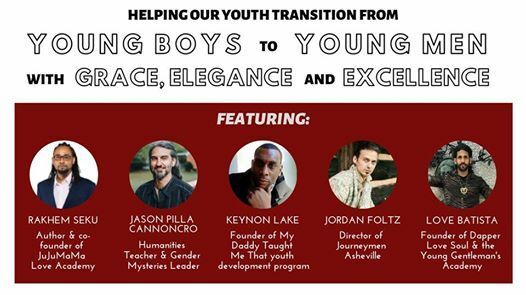 Join us for a powerful panel discussion about the sacred masculine, and how we can help our young boys transition into young men with grace, elegance and excellence. In addition to the panel discussion, there will be breakout groups, a short documentary viewing ("The Mask We Live In"), and lots of real talk. 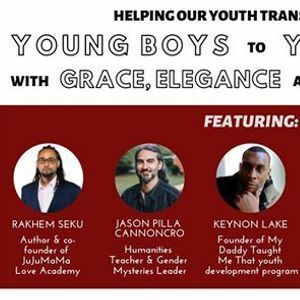 No admission necessary, but we will be accepting donations to support the Young Gentleman's Academy – a youth empowerment program supporting young men in underprivileged communities to rise into their fullest potential. Sponsored by Aspire High Asheville!